A Kali 2 Linux machine, virtual or real. Make sure you are getting replies. If you are not, you need to correct your networking problems before proceeding. Press Ctrl+X, then press Y, then press the Enter key. This saves your file. From the menu bar in the top left of the Kali desktop, click Applications, Internet, IceWeasel Web Browser. This verifies that Apache and PHP are running correctly. Replace the text "YOURNAME" with your own name, but don't use any spaces. Save the file with Ctrl+X, Y, Enter. You need a PHP library file, which you will get from Google. Note: the second-to-last command has a period at the end, which is required. A Google login page appears. Log in with a Gmail account. Click the "Get reCAPTCHA!" button. Don't use the literal text "YOURNAME" -- use your own name. A page appears with keys and code snippets. The only thing we need is the two keys, as shown below. In your Web browser, in the reCAPTCHA page, highlight the Site key, right-click it, and click Copy, as shown below. Delete the word "KEY" in two places as highlighted below, and paste in your Site key instead. 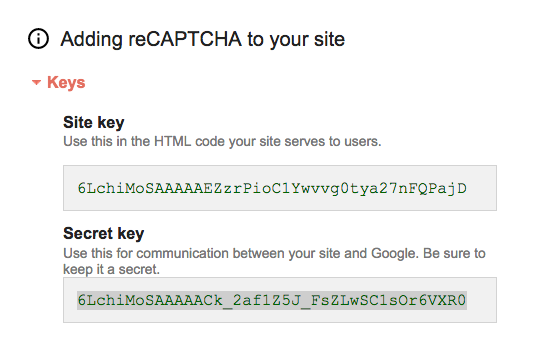 In your Web browser, in the reCAPTCHA page, highlight the secret key, right-click it, and click Copy, as shown below. Paste the secret key into the third line, as shown below. In Kali, in IceWeasel, go to localhost/YOURNAME-form.html page. You should see a reCAPTCHA form, as shown below. It may be just a check box, or it may show bent letters. Make sure the reCAPTCHA box is visible, as shown above. Save a screen capture with a filename of "Proj 19a from YOUR NAME". Then click the "Submit Query" button. You should see the message "YOURNAME reCAPTCHA Succeeded! ", as shown below. 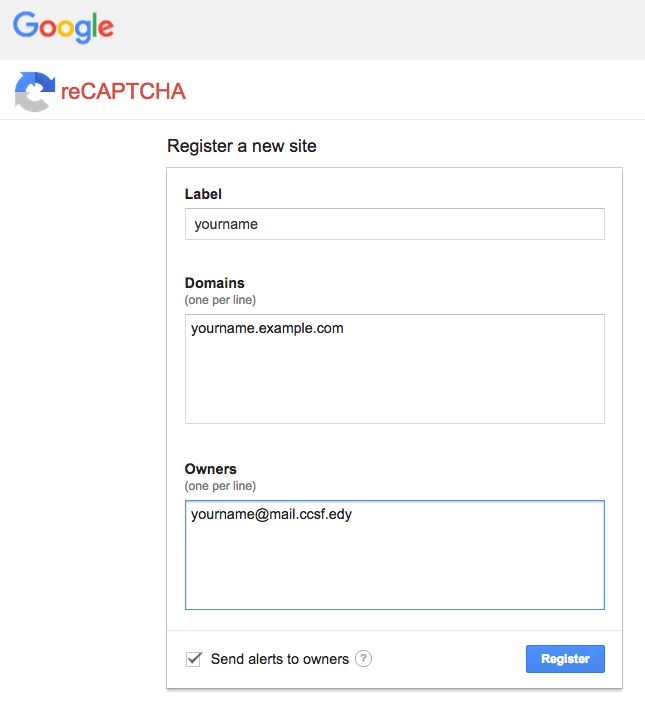 Make sure the "YOURNAME reCAPTCHA Succeeded!" message is visible, as shown above. Save a screen capture with a filename of "Proj 19b from YOUR NAME". Email the images to cnit.120@gmail.com with a subject of "Project 19 from YOUR NAME".